William & Mary’s Raymond A. Mason School of Business has been ranked the No. 1 online MBA program in Virginia by Online MBA Today. 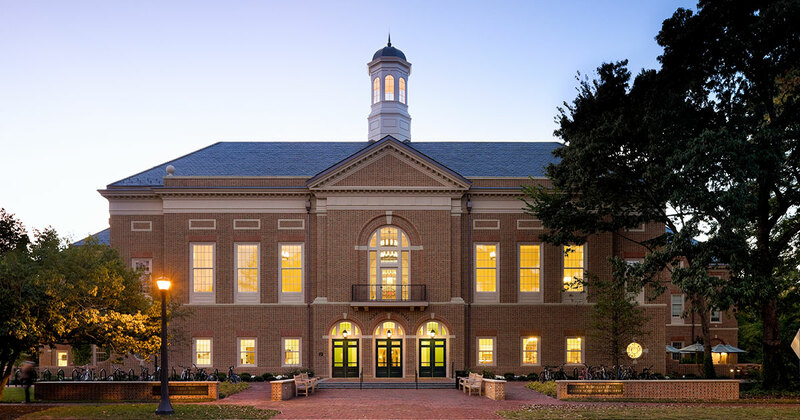 The website, which helps prospective students make choices for their online MBA degrees, took special note of the William & Mary School of Business program, which combines a strong online learning experience with an immersive three-day residency. The residency allows students in the online program to connect in person with their peers, hear lectures from business leaders and meet face-to-face with faculty on the William & Mary campus in Williamsburg. “By combining this in-person residency with a convenient online learning platform, William & Mary’s Online MBA program provides a rich educational experience that can help prepare students to advance their careers in business,” Online MBA Today wrote. The report noted that the online program is one of several options for an MBA at William & Mary, which it called “one of Virginia’s best” offerings of programs leading to the degree. The Virginia rankings were produced after a review of nearly 500 online MBA programs nationwide. Schools and their online programs were rated in a system that considered: estimated tuition cost, accreditation, average base salary of graduates and prestige—a factor that considered how each school’s program was assessed and viewed in other national rankings. For more information, please see the full report of Online MBA Today's rankings for Virginia.